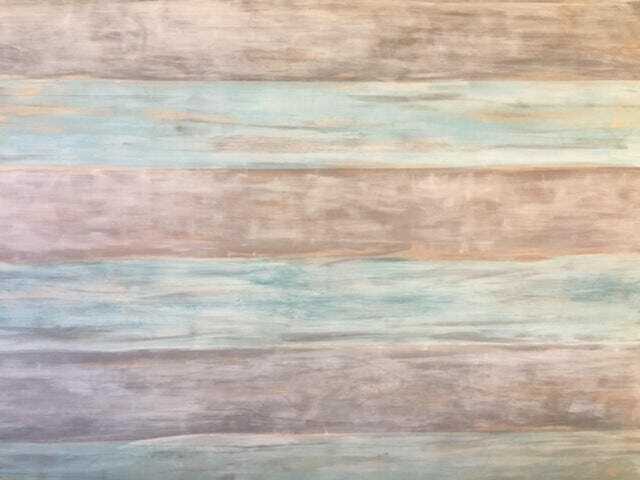 This popular distressed Beach House Gray and Beach House Blue KING headboard is one of our best selling items in our bricks and mortar store Beach House Dreams on the Outer Banks of NC. 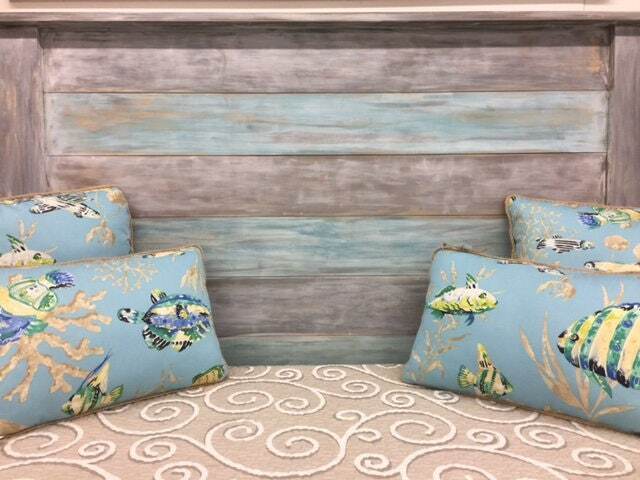 If you love our beach cottage style or even farmhouse decor, this will be perfect for you. Each one is handmade by Tommy with barnwood or premium new wood here in the Outer Banks of NC. NEW DELIVERY OPTIONS IN NC and VA!!! (March, 2019) These are available for DELIVERY on the Outer Banks ($50) Or DELIVERY to the Hampton Roads Tidewater area in Va. ($100) Or Delivery to the Richmond Va. area ($100). NEW DELIVERY OPTION: We also have, available for delivery from the OBX to Richmond Va ($75-100 per load), barn wood end tables, farm tables up to 7 feet, and barn wood coffee tables... purchase 2 end tables for your living room, family room, master bedroom or office, PLUS a headboard, and get it all delivered for $100 or less, as long as we can get it all in one load! for one $100 delivery fee!!! 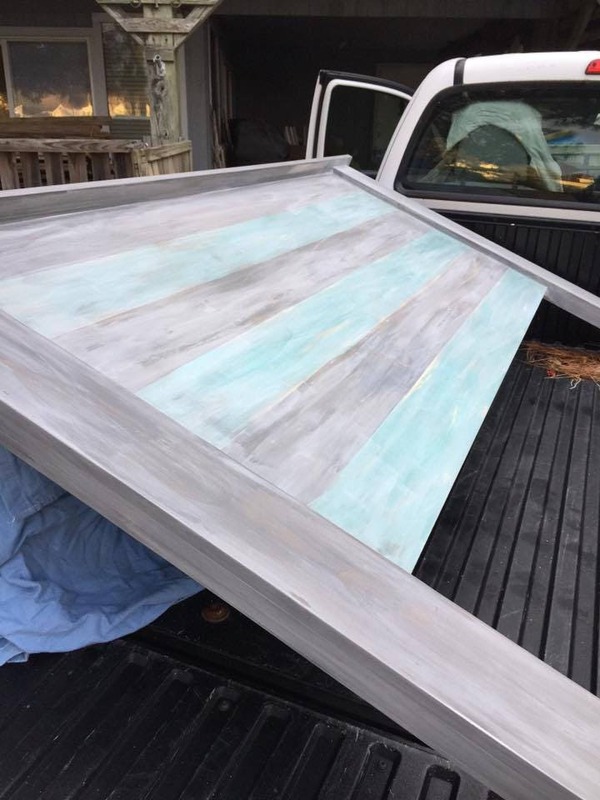 Please note: pictures show the latest King in this size style and color: Beach House Blue and Beach House Gray. Pics 1,3,5 and 6 show the latest Queen in this style and color which is available for purchase at our store. This listing is for the KING. 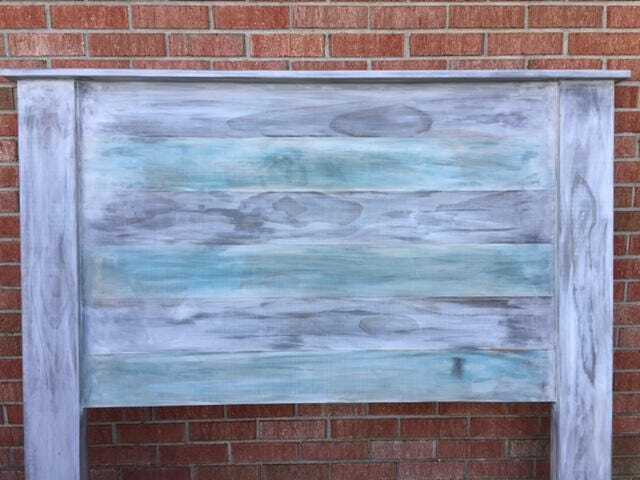 This handmade, high quality, popular retail store's inspired neutral colors,works with any decor, and will bring that farmhouse/beach/cottage feel to your home every day.This beautifully handcrafted head board is not just for beach homes; it would look terrific in a cabin in the mountains, in your cottage at the river, or in a metro loft or apartment. Please note: all of our handmade furniture pieces are different; each piece of wood has some imperfections-that's what gives them character, and while process of sanding and painting and distressing is the same for each piece, there will be variations in each headboard ~ You will truly have your own unique piece! This is a free standing KING headboard. You can prop it behind the bed as shown on screw your bed frame into it. This does not come with a bed frame. Average size of these is 76-78"wide, approximately 55-57" tall. 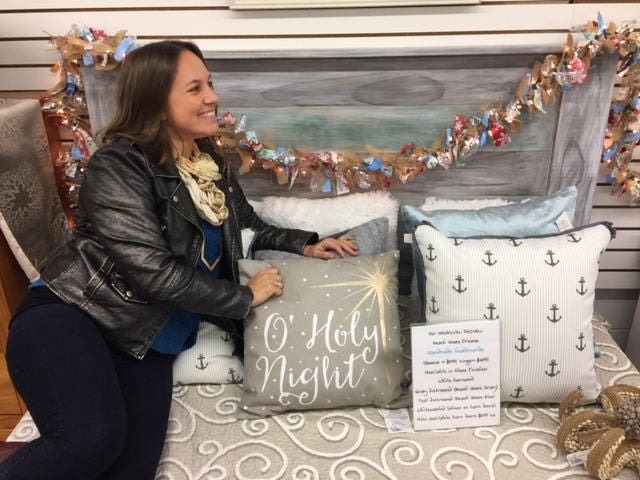 If you would like the linens or pillows shown, visit our Facebook page: Beach House Dreams, or our website with the same name. You can also see our furniture and other items in person now at the Lazy Daisy Gift Shop in Mechanicsville Va. 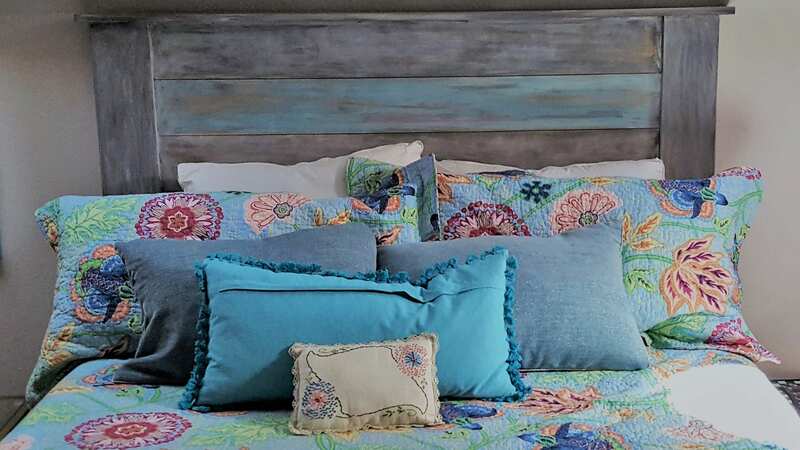 Please allow us about 3-4 weeks after you purchase to get your headboard made and ready for pick up. Once more: We do NOT SHIP these-they are available for pick up only.